Internet users have become surprisingly more patient than ever. Even though technology, network speed and load time has exponentially increased over the previous few years, users still appear to understand when things don’t always go right. A prime example would be Twiter’s “fail whale” message. 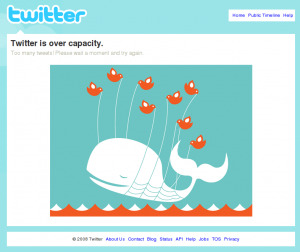 If you have no idea what the fail whale message is, it is the screen with the whale and birds that appears when Twitter is down (image at the top of this post). It seems that you can bet on the fact that Twitter’s website will be down at some point throughout the week, whether it be because of a massive overload of Tweets about Tiger Woods or Lady Gaga or it is simply the fact that the Twitter engineers made a minor error. Either way, we have become ok with the idea of down time, and to some extent, we find it acceptable. I consider this a phenomenon simply because our expectations in the physical world are increasingly higher. Another example of this would be the prevalent use of the “Beta” tag by startups. We all know that by using this tag, we are justifying any potential errors, downtime or web issues. It appears to be working. Users understand that startups go through their rough times and things happen. I can’t remember another time in recent history where such leeway was given to companies whom are often funded by millions of dollars in venture capital. What we should take from this is that it is ok to have a product that is not perfect. It is ok to have a product that needs tweaking. More importantly, we should appreciate the fact that our customers give us an opportunity to make errors and correct them. Work hard on your product. Eat, sleep, live your product. However, understand that when things go wrong, it is ok. Best of luck! 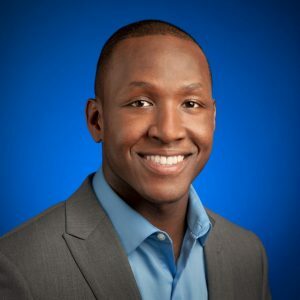 Previous Previous: Does Your Startup Have a Lebron James?